Virtual Table Tennis is one of the best seller games on smartphone that being downloaded by a lot of game players. This game can make a success on a global scale is due to it well-linked and comprehensive promotion strategy. Especially the creative advertisement that being released by the company is playing an extremely important role. According to ZingFront.com, a big data social media marketing site, they are using their tool to track the ads and found it is very effective in promote the game. Virtual Table Tennis™ is the only one based on 3D PHYSICS and supported ONLINE MULTIPLAYER Table Tennis gameplay series in the App Store. ZingFront.com is the world’s premier provider of big data video services. The company is focusing on mobile internet technology and services to oversea. They offers customers simpler business decisions, smarter software services and innovative legacy studio approaches. The company also using the SocialPeta, which is the world’s premier big data analytics tool, and UnrealFront, the world’s first 3D semi-automatic video production tool to help in offering more smarter and efficient marketing for their customers at home and abroad. Other virtual table tennis games that are popular also can be found on both Apple store or Google Play. Here I would love to recommend a few of them which I think are worth for you to download and play during your leisure time. If you are boring and want to kill some time, then you can download this ping pong game and enjoy playing it. You can either play against the computer or if you want to play with other people, you can choose the online multiplayer option. 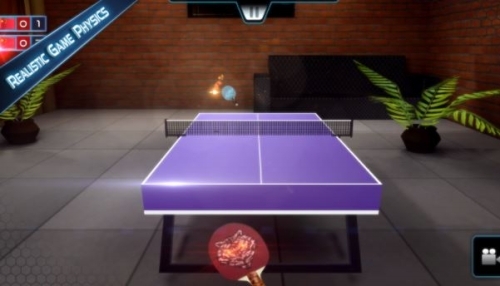 This table tennis gameplay is feature with HD graphic and great sound effect. You can easily get addicted once you start to play the game. You can choose 3 modes that available in this game which is Beginner, Intermiediate and Expert. You are able to perform all the styles in the game like topspin, sidespin, smash, loop shot and etc. You may swipe your finger in a direction you wish the ping pong ball to go. It is vital for you to time your swipe in order to perform a fast shot which create difficulty for your opponent to return the shot. You need to spend some time to familiar how control the swipe and you are going to master the game is short period of time. 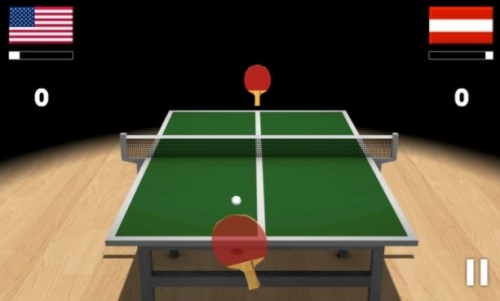 Users can carry out complicated shots like topspin shots or smashing with this Virtual Table Tennis 3D game. All display environments are rendered in 3 dimensions. There is 30 levels for you to play where you have 3 options for the difficulty settings. For free version, you will need to endure with the ads that will display ocassionally. If you wish to get rid of the ads, you will need to upgrade to Virtual Table Tennis 3D Pro.